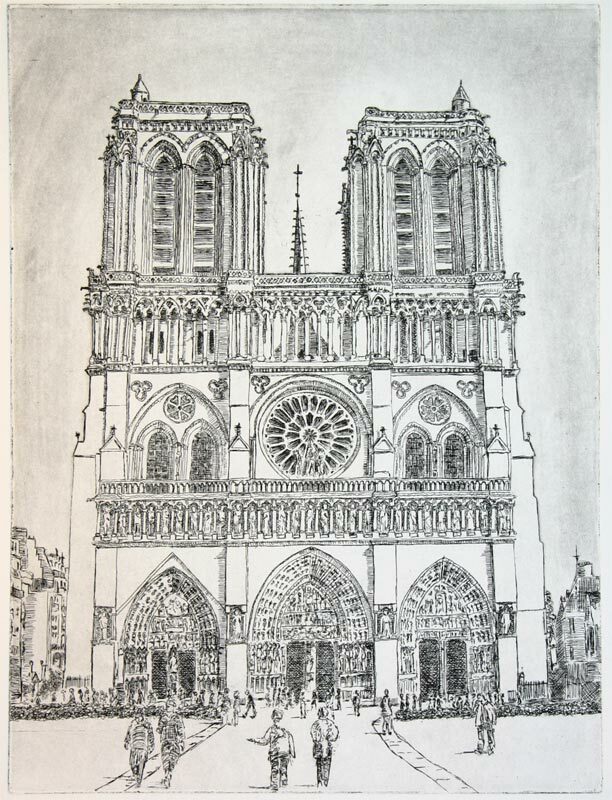 Practice etching of Notre Dame based on public domain photo. Edition of one, one color, on BFK. 8″x10″ original intaglio print. Based on public domain photo. Sheet signed, titled, and numbered in graphite pencil below the image.